Drawing from real sculptures is a great exercise. The artist’s eye must be trained for accurate observation. Drawing sculptures is a good way to learn how to release the form in all the complexity of light and shade. 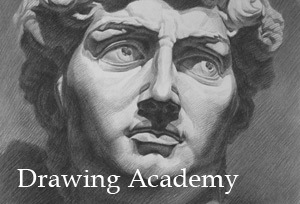 Drawing from sculpture is also beneficial to a fine artist for training the hand and building confidence in drawing skills. The sculpture will remain motionless compared to live models and is therefore much easier to draw from. 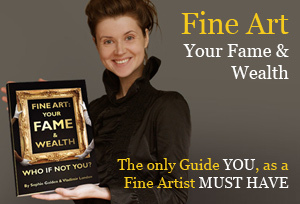 This helps to improve your drawing skills before you attempt to draw from live models. 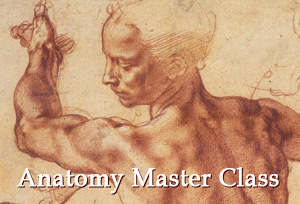 The technique used is quite laborious, involving small circular or oval strokes with a sanguine pencil. 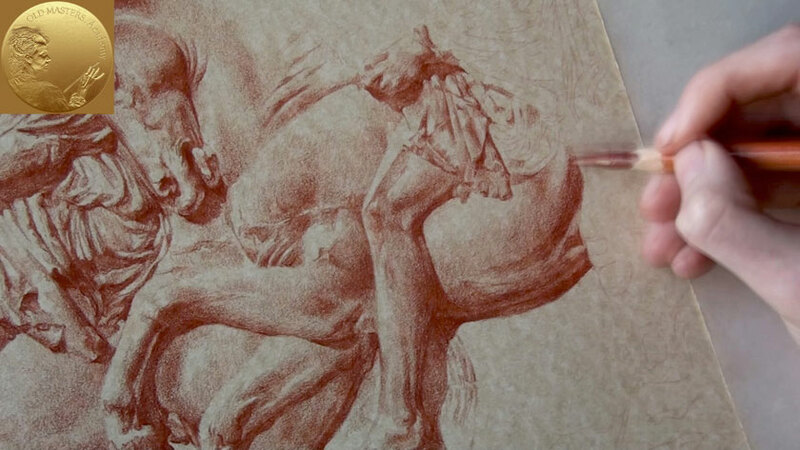 If you have ever worked in lithography, you may notice that drawing with wax sanguine on the paper and using a lithography pencil on the lithography stone gives the same feeling of the surface. This is because the viscosity of pencils and the circular movements are similar, whether working in wax sanguine or doing lithography. The circular pencil movements are best suited for when the surface needs to be evenly filled in. The pressure of the sanguine pencil should be varied. The more gentle the pressure, the lighter the result. In the shadow places, more pressure should be applied. Layer by layer, the pencil strokes gradually build up to achieve the desired tonal effect. The various hatching methods may be applied, as well as individual strokes or lines when drawing strong borders between the light and shadow. At the same time, using such strokes can make it quite difficult to maintain the evenness of the tonal surface. OK, let’s return to our drawing surface. We have chosen a good quality, unevenly tinted thick paper, which is very similar in appearance to natural stone. 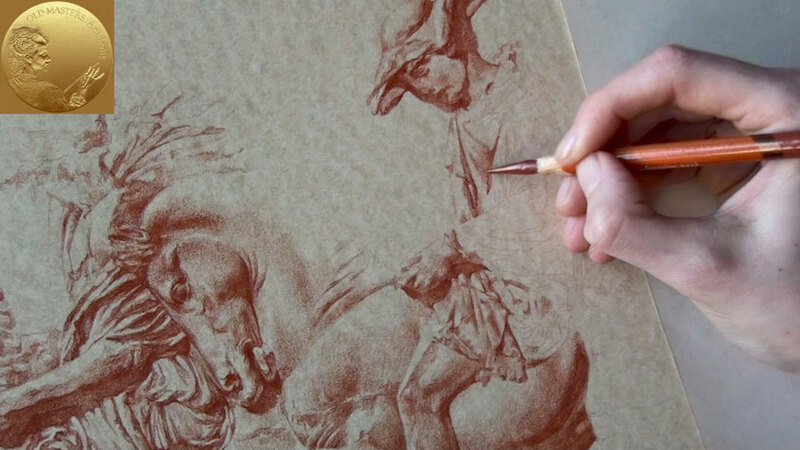 You can prepare the tinted paper yourself like the old masters used to do. For example, Holbein, who often used this medium, tinted the paper in most of his portrait drawings, varying the tint frequently, and sometimes using zinc white as a wash. His aim seems to have been to select the few essential features in a head and draw them with great finality and exactness. In many of the drawings the earlier work has been done with a red or black chalk and then rubbed down. Then the drawing was redone with a brush, or some of the chalk rubbed up with water and gum, or a silver-point line of great purity. In other drawings he has tinted the paper with watercolor and rubbed this away, exposing the white paper where he wanted a light area. He also used Chinese white for the same purpose.